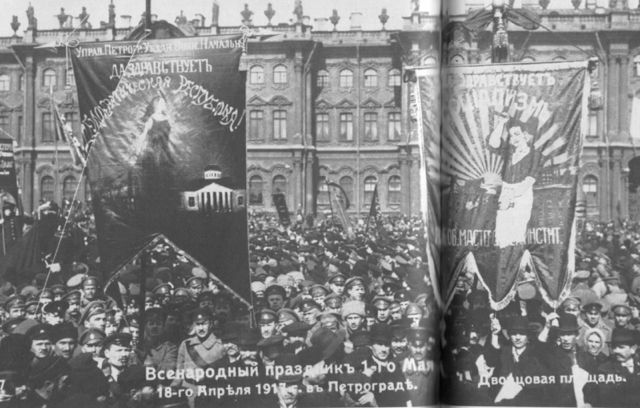 May Day Statement of the Internationalist Communist Tendency on the current international situation and the challenges facing the working class a century after the Russian Revolution offered so much hope and brought so much despair. Another May Day where imperialist tensions threaten to spread existing wars or stir up new ones. We are faced with the spectre of much wider and more destructive conflicts than in recent decades. The collapse of the USSR was presented by capitalist ideologists of all persuasions as the dawn of a new era of peace and prosperity. The reality, now obvious to everyone, is just the opposite. It could not be otherwise. The causes that led to the implosion of the “Eastern Bloc” have certainly not spared "the West" nor have they gone away. In fact, despite the "emergence" of new players on the world economic stage, the foundations of the world capitalist system continue to crumble. "The right to life is worth more than private property"
....And even more so the experience of the 'Spanish anarchist inspired revolution' in very different and even less favourable international circumstances. An excellent contribution to some otherwise mundane May Day declarations - probably won't ever get a single international revolutionary organisation but we can start by encouraging some honest critical co-operation amongst the tiny groups of genuine revolutionary communists from both the anarchist and Marxist tendencies.